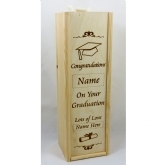 Wooden wine boxes laser engraved with personalised message. 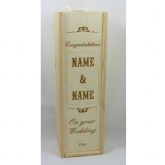 For any special occasion we can supply a laser engraved wine or champagne box customised to your own requirements. 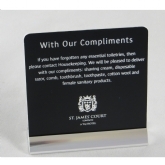 Licencee nameplates, Table numbers, Hotel key fobs, Room numbers, Fire Signs, Car park signs, Window graphics, Smoking policy, Outdoor signage, Toilet signs, Directional signs, Table signs. 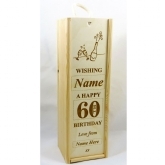 Please contact us with your requirements, we have a full range to suit all budgets.